Criminal Defense Attorney Thomas Kokonowski What Does a Prosecutor Have to Prove to Get an Arson Conviction in Massachusetts? | Thomas Kokonowski, Esq. What Does a Prosecutor Have to Prove to Get an Arson Conviction in Massachusetts? | Thomas Kokonowski, Esq. What Does a Prosecutor Have to Prove to Get an Arson Conviction in Massachusetts? Posted on : July 19, 2018, By: Tom Kokonowski, Esq. Arson is a serious crime in Massachusetts with significant penalties. If convicted, you stand to face up to 20 years in prison and up to a $10,000 fine. If you were charged with arson, it’s important to understand what a prosecutor must be able to prove to secure a conviction against you. Here’s what you need to know. You cannot be convicted of arson for setting fire to or burning property that belongs to yourself. The property must be owned by another person or entity for the act to be considered arson. 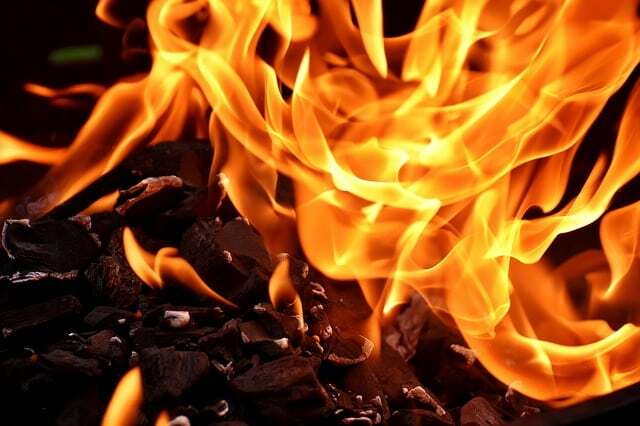 A prosecutor must prove that you intended to set fire to and burn the property in question. You cannot be convicted of arson if you accidentally set fire to a property. If, for example, you were driving and threw a lit cigarette out the window and it caught a nearby house on fire, it would not be considered arson under Massachusetts law. Not only must the prosecution prove that you intended to set fire to the property, they must also prove that you did so willfully and maliciously. This means that you must have had an unlawful motive behind the action without a lawful excuse. If the property in question had a value of less than $25, you cannot be convicted of arson. One of the most important things to remember is that all of the above elements must be proven beyond a shadow of a doubt. For example, if the court finds that you did intend to and successfully set fire to someone else’s property willfully and maliciously, but the property was only valued at $20, the arson charge cannot stand. If any element of the crime is missing, it’s highly likely that the charges will be dismissed. An experienced defense attorney will work to dismantle each of the elements of the crime that the prosecutor must prove. For a rock solid arson defense strategy, don’t wait to contact a lawyer. Contact Thomas Kokonowski, Esq. today to learn more about your legal options and your next move. Call now for an appointment for a consultation at 413-585-9200 (Northampton), 413-549-0022 (Amherst), or 413-737-9700 (Springfield).